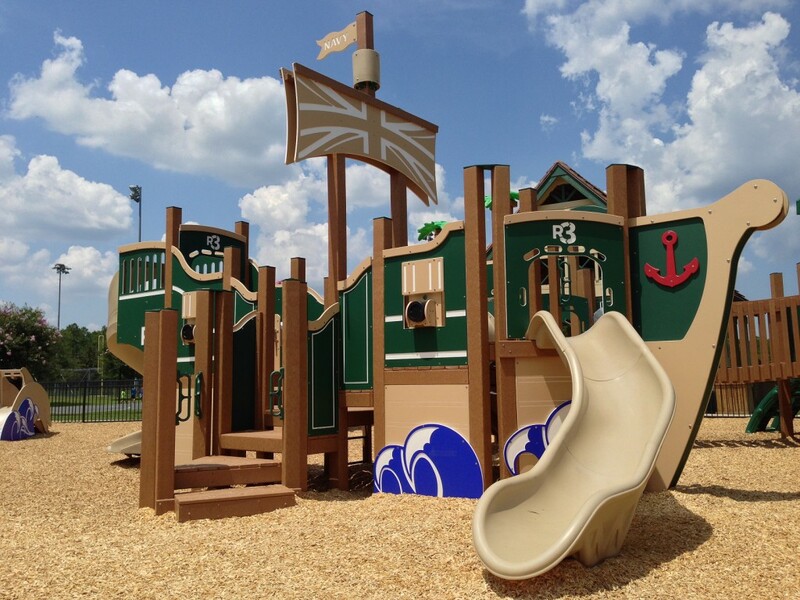 A one-of-a-kind pirate ship playground has re-opened at Palencia in St. Johns County. The community’s youngest residents have been busy exploring, climbing, sliding and walking the plank on the custom-designed play space in Palencia Park, a favorite common area centrally located in the community. 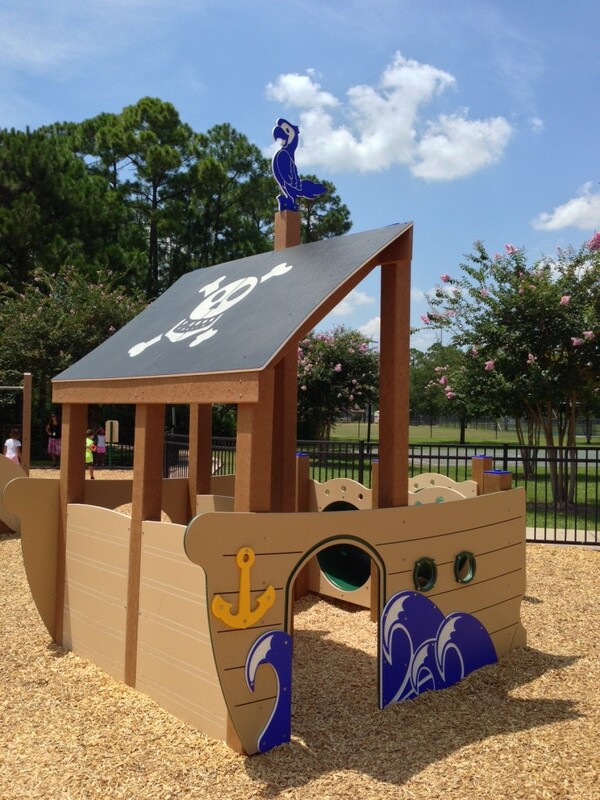 The pirate ship structure, with its multiple slides, tunnels, walkways, climbing spaces and tot lot, was installed by the St. Johns County Parks and Recreation Department at Palencia Park, along with additional playground equipment and new mulch ground covering. 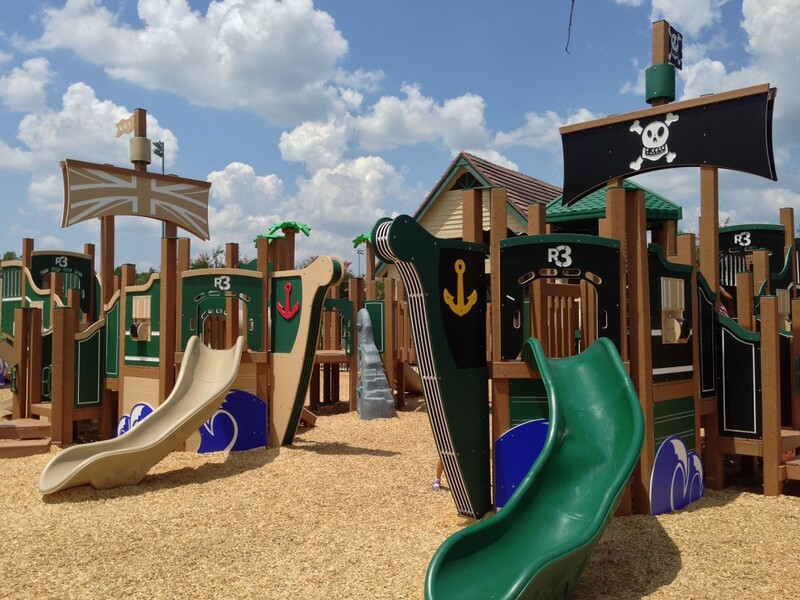 In addition to the new, fenced-in pirate ship play area, Palencia Park offers a covered picnic area, three baseball fields and a multi-purpose sports field nearby. Palencia Park is just one of many popular amenities in the family-friendly master-planned neighborhood. Palencia residents have a wealth of daily activities from which to choose, and amenities include the community’s championship golf course, lighted Har-Tru tennis courts, four pools, sports fields and eight miles of multi-use paths and walks which connect to natural areas and marshes of the scenic Tolomato River. The Palencia Golf Clubhouse and 40-acre Village Center offers dining, shopping and spa services. The community is centrally located in the county and a short drive from the beaches, shopping, historic St. Augustine and downtown Jacksonville. To learn more about the community of Palencia, visit www.vivapalencia.com or call (904) 810-0500.